Discussion in 'Tutorials' started by Crowsfoot, Nov 24, 2017. We all know the SC box is good value but can we make it better value, I think so and hopefully here I will show you how. 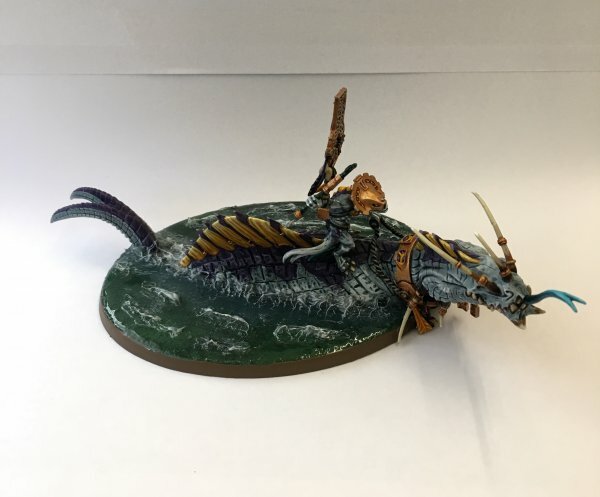 This tutorial is based around building the Carnasour with the scar vet rider and the Troglodon Oracle not being used on the Troglodon. I can see your face your all thinking how is that possible, well dive in and find out. TrevBot, Lizerd, Vroomer and 15 others like this. Simple this one, Coldone built with the champions head, rider has champions head, shield on his back and both arms are from the warrior set, cut the hand off the right arm and attach the blade for the oldblood from the Carny sprue. Edit: You don't need to change the weapon as on his warscroll he has a Warpick. TrevBot, Lizerd, tom1017 and 10 others like this. Again very simple this one, standard warrior with Saurus Knight champions head, Mace weapon in right hand and use the spare Carny top head piece as his shield, shoulder armour from the warriors sprue. Mokomoko, TrevBot, Lizerd and 9 others like this. Just build him as standard and stick him on a base, or magnetize him to fit both. Mokomoko, TrevBot, Lizerd and 8 others like this. Any bits you want to adorn on the bearer. Glue the warrior to the 40mm base, use a suitable head. Place the banner arm between the icons and glue in place, the arm wants to be at 90 degrees to the icons. Attach the arm to the warrior body, it should look something like this. Attach the base to the icons and then the drum to the base like this. TrevBot, Lizerd, Vroomer and 10 others like this. Attach any extra bits to the base front as below. You can add shoulder pads, extra weapons etc if you wish. TrevBot, Lizerd, Vroomer and 13 others like this. Take the head and tail and assemble together, when dry take the head and cut it square at the bottom. Now stick this to the 120 oval base, take the large fin section and use it to place where the tail would go, leave a small gap and glue the tail to the base, now glue the fin in place, you may need to trim it to sit flat and you can cut a bit of sprue to support the head and fin, like below. Leave it to dry over night before starting to sculpt the body. Once dry take some modelling putty/clay and fill under the fin to make a body shape, don’t go past the scales in thickness and it does not need to be precise, leave to fully dry,pic below. Lizerd, tom1017, EatMyPanini and 8 others like this. Once fully dry take your finishing putty/clay (im using greenstuff) and apply enough to cover one side, apply to the thickness of the scales, pic below. Now smooth it a little with a wet shaper or your finger, don’t lick your finger dip it in a water pot. Now take a shaper or tool you can use to make lines, I looked at the carnosaur for reference and just make squares and rectangles then I used the rubber clay shaper to apply texture, just gentle stab the greenstuff,pic below. I put the skink oracle on his back as I have loads of priests but you can leave it off if you don’t have a priest model. And there you have it a relatively simple way of making the most of your Seraphon starter box. Couple of pics with the oracle attached. I hope you find this useful and keep an eye out for a follow up tutorial on painting your Starter set. Kayosiv, Mokomoko, DeathBringer125 and 17 others like this. Lizerd, Vroomer, Captaniser and 2 others like this. Vroomer, Captaniser, Crowsfoot and 1 other person like this. As someone just getting into AoS and just working my way through a start collecting box this is perfect. Looking forward to the last few bits. Would you recommend building a musician and Standard for the knights or is it not worth it when it comes to playing? Mokomoko, HeirofCarnage and Crowsfoot like this. Build your units with full command the bonuses are free and they have the same attacks etc as normal knights. Mokomoko and martin swaffield like this. Really nice start @Crowsfoot, will be making my own bearer with your help! Would be a great sticky for the P&C forum! HeirofCarnage, Captaniser, Dan Wilson and 3 others like this. My goodness that astrolith bearer is fantastic! I will definitely be using that to make one of my own. Mokomoko and Crowsfoot like this. @Crowsfoot thank you for the info! I’m starting on my list next week. Any more goodies? Captaniser and Crowsfoot like this. I'm working on the Troglodon at the moment will get some pics up this week. Dan Wilson, martin swaffield and tom ndege like this. Updated with the Troglodon completed. Warden and Fulcrum like this. This is amazing @Crowsfoot ! 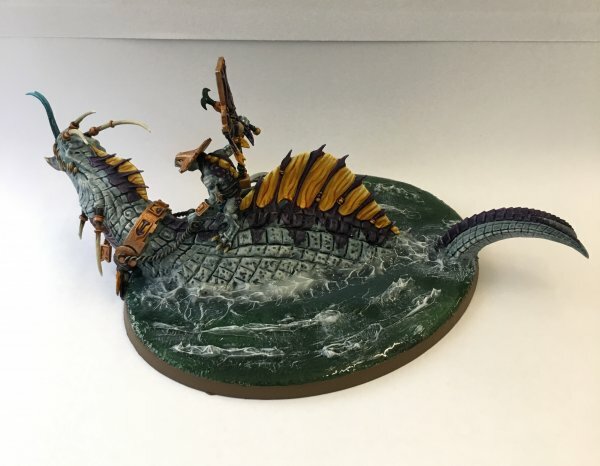 Your tutorial of what to do when you open the Lizardmen starter-box is a great idea, I could have used this a long time ago! This link needs to be saved so that new players can have it for reference, all the conversions you have listed are very easy to do! I was most inspired by your Battle-Standard Bearer (Astrolith), very simple use of materials at hand. I hope I can use your plan and modify it a bit to make my own, always something I wanted to try. Kudos to @Skinquisitor and his conversion for my original troglodon inspiration! HeirofCarnage, BeardyGecko, Aginor and 1 other person like this. I need to keep this thread at hand, everytime a newcomer asks about our Start Collecting. Matt00@, Lezlor and Crowsfoot like this.